This recommended integrated approach will support the creation and maintenance of a culture of learning which in turn will support the attraction and retention of top caliber people. In this example we will address the three broad areas which we believe will have the greatest impact on achieving such a culture. An integrated leadership development strategy should focus on developing the competencies identified for current leadership and on those competencies which will be required to support the organization's strategic future. In addition our research has shown that one of the key components of a successful attraction and retention strategy is an aggressive leadership development strategy for identified talent. How to facilitate profound learning and change using evolving interventions ie participative design, etc. in transforming systems to achieve systemic sustainability. Leading in turbulent times. 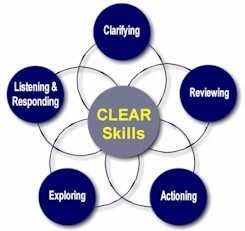 Each of the CLEAR Skills clusters are further broken down into identifiable, easy to learn and measurable behaviors. All successful interactions, with the exception of social interactions, follow a structured process. The steps are not necessarily sequential, but each step, as with the CLEAR skills, is essential if you are going to achieve your objectives for that interaction. The CLEAR process model is aimed at providing you with guidelines against which to plan and conduct your interactions in an attempt to realize effective interactions. 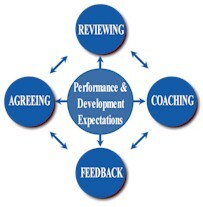 Coaching Networks: Informal and formal coaching networks / learning communities set up to provide coaching and support. These would be in addition to the "virtual learning teams" described in below. Personal Learning Portfolio: A personal learning "journal" linked to a time management system. Participants, when initially attending Personal Leadership, are introduced to the concept of taking responsibility for their own learning and provided with a "Personal Learning Portfolio" to aid in learning and transfer. 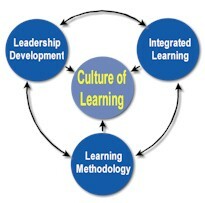 In creating a learning culture it is important that all individuals have access to learning materials as and when required. We believe that all currently available technology be used to achieve this. All learning materials should therefore be made available via the organization's intranet. Email discussion groups should also be encouraged. As all organizations have unique needs we believe that a design and development capability is an essential part of any partnership. All learning interventions will be customized or designed to meet specific, unique needs of the learners. All learning materials will be branded to reinforce ownership of learning by all in the organization. Appropriate assessment tools will be co-designed with the learners. These will include formal 360° feedback, team reviews, peer reviews and performance feedback by responsible line leaders. It is also possible to conduct a level 4 organizational impact evaluation.